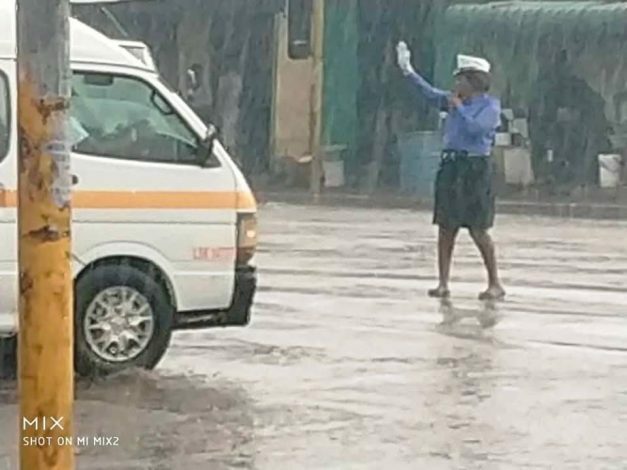 Female Police officer Charity Nanyangwe who braved the rains directing traffic yesterday has been promoted to the rank of Sergeant. 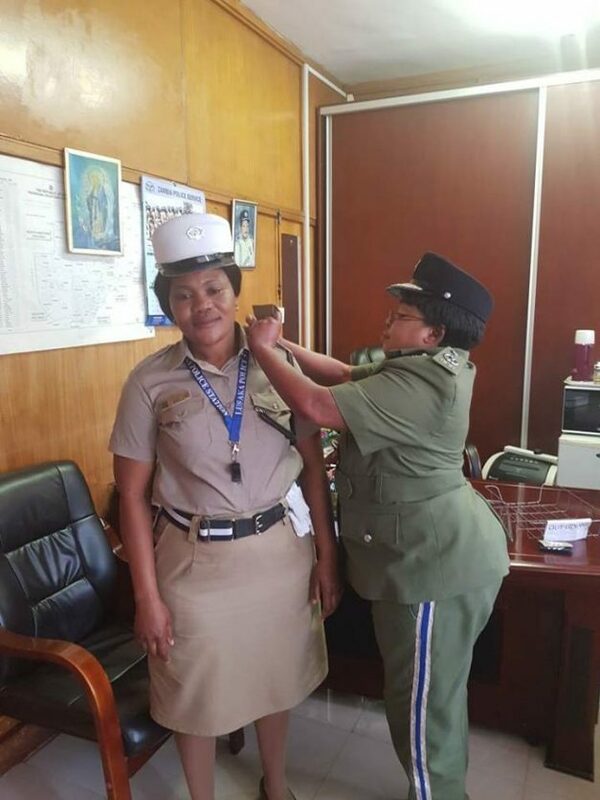 In the picture, Commissioner of Police in charge of Administration Ms. Lombe B.Kamukoshi decorates the Officer. ulubundu! what a disgraceful comment. 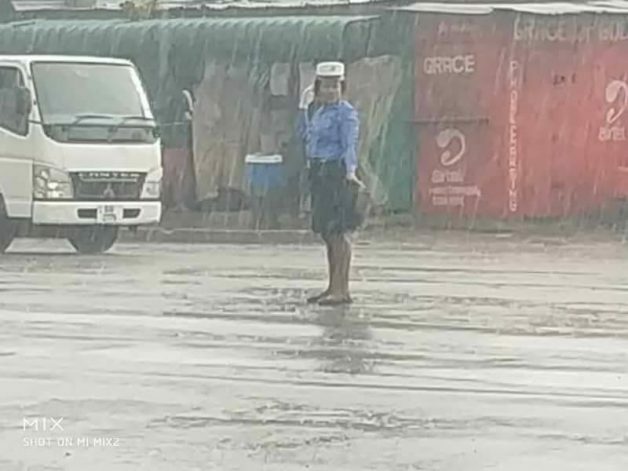 why do u think that dedication to duty has to be rewarded by a marriage proposal. stop being sexist and just appreciate a job not only done but done well by the gallant female officer. I do not agree wit da idea of rewarding any1 2 do der job but Charity Nanyangwe…lyk MOST OF US…went abov n beyond her cal of duty.dis z refreshing, encouraging, motivating n rily challengez da narrative abt pipo workin in da Civil Service?